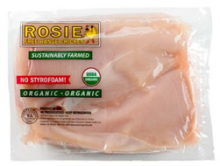 Head over to Facebook and “Like” Rocky & Rosie Organic Chicken. They have a great coupon for $2 Off Rock Jr or Rosie Organic Chicken. Once you “Like” them, you’ll enter your email address for the coupon. I’ve seen Rosie Organic Chicken at Whole Foods. Have you seen it anywhere else? Oh my, if you haven’t tried these baked goods from Rustic Bakery, here’s your chance. Today, Plum District has an amazing deal. Get $5 for a $10 worth for delicious Rustic Bakery organic baked goods! Head over to Plum District, San Francisco and grab this deal. This voucher is good at both Rustic Bakery locations in Larkspur and Navato. Daily deals Apr 28, 2011 in food, organic · Expired! Have you heard of Abe’s Market? Abe’s Market is devoted to all things natural. You’ll find everything from bath and body products, herbal supplements, natural cosmetics, healthy snacks, and gluten-free spices to organic baby clothes, sustainable housewares, natural bedding, and natural pet care. Get your Plum District deal here now! 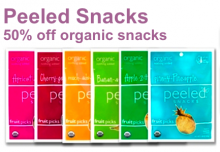 Daily deals Dec 21, 2010 in organic · Expired! Have you tried Pure Bars yet? This is a great coupon for those of you who want to give them a try. Right now you can get a buy one, get one free Pure Bar coupon. Head over to Pure Bar and fill out the form, they’ll email you the coupon.Here is a list of Pure Bar retailers. Thanks, Happy Clippings! Barbara’s Bakery is offering a BOGO free cereal coupon on their Facebook page. Just head over to Facebook and “Like” Barbara’s Bakery. Click on the coupon link to get your BOGO coupon. Trader Joe’s has a great selection of Barbara’s Bakery cereals at a great price! Safe Baby Bottles, Sippy Cups, etc. Tons More Eco-Friendly, Recycled, and Safe Products For Mom & Baby! Head over to Honest Tea and get several great coupons. They have a buy one, get one free coupon for Honest Kids. When we do give our daughter juice, Honest Kids is a great organic choice!